The Sandford area is a naturally beautiful place and the inspiring landscape has brought together a mix match of artists into the small community. Joining together to support and showcase their artistic talents they have formed The Artists of the Valley. The diversity of mediums is only matched by the welcome you will receive at the galleries, studios and workshops. The trip is one full of open doors, creation and appreciation. So why not head inland and spend a day around the valley. What was known as the Old Sandford Fire Shed was reborn in 2013 to become the Red Door Gallery. As with all the best studios the Red Door has a back story and with love and attention the new owner Collin Tenney the gallery now offers a place for local artist to exhibit their work. The exhibition of local art along side the oils and Beth Dwyer a neighboring artist and founding member of the Artists of the Valley displays her ethereal acrylics alongside Collins. Beth has recently started in watercolors and you will find a number of her works hanging in private homes. Acrylics that have sen Colin win many awards in the recent past inspires Collin to continue to develop his individual style. The works that Collin produces are becoming a collection must for all art appreciators. Awards such as the Clarice Beckett Art Award and the Bendigo Community Bank Art Award now hang on Collins walls and will be joined by many more in years to come. Collin’s work is always on display at the gallery and you will always find his latest work on the easel as you mix the styles and paint mediums . The Red Door Gallery offers a wide range of hanging art, small sculptures, greeting cards and other hand crafted items and visitors are always certain to find something to catch their eye. If Sunday doesn’t suit please give Collin a call on 03 5581 2559 to make a visit. After leaving The Red Door Gallery the Artists of the Valley continue to shine as you will find Jenn White “hatching” print ideas at The Hatchery Studio. At the back of her own home and surrounded by the nature that provides her greatest inspiration. Hand printing with Lino or Wood or anything she can carve gives an unpredictable outcome with ever changing results. If the sign is out then Jenn is in and visitors are always welcome, sharing the stories behind her work, and demonstrating the art of printmaking – a labor of love, done completely by hand using old skills in a digital age.Presenting her work as framed and unframed wall art, mixed media, curios, artist’s books and unique items including hand printed greeting cards. 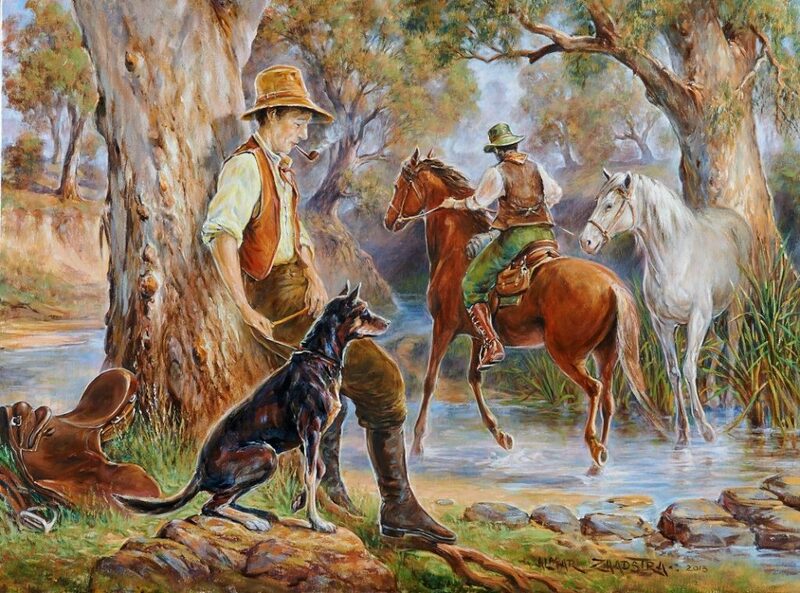 Her award winning paintings and original prints reflect her love and respect for nature, and a passion for preserving the past and present, often with a touch of humor, To avoid disappointment, you can always call ahead on 0418 132 047. Before leaving the valley a must stop is the former St Mary’s Church now a testament to the passion for glass and a display for the 22 stained glass windows made especially by Darryl Trezise. he church is now a home and studio for Darryl’s Glass. 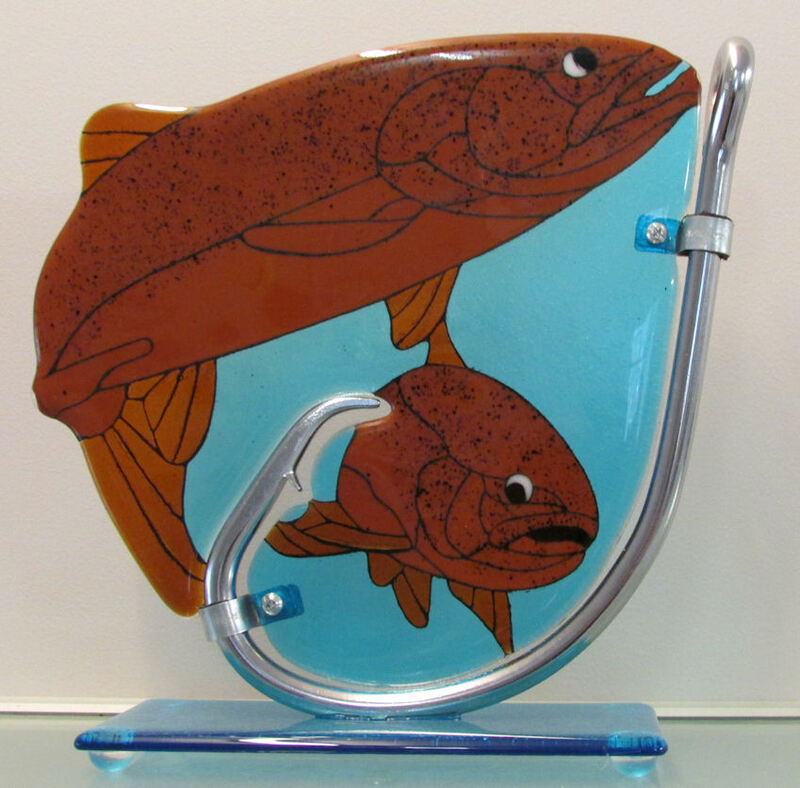 Open 10 am – 4 pm daily it is a small studio/ gallery where a master makes all the glass pieces you could imagine.Darryl makes a huge range of pieces ranging from very simple pieces to very detailed pieces. Making glass pieces by Fusing and Slumping or what they call warm and hot glass techniques. The specialised glass sculpting and its technique that has been developed and is unique to the studio.All pieces are designed by Darryl and then handmade in this studio. Once finished offered for sale in this gallery. Visitors are most welcome to drop in and see exactly how and where they are made.and Darryl is willing to explain the process also in detail for you if you wish to know. If you have a special piece in mind Darryl”s expertise can create it to order. You can find the Artists of the Valley at the below addresses; Please call ahead to avoid disappointment. 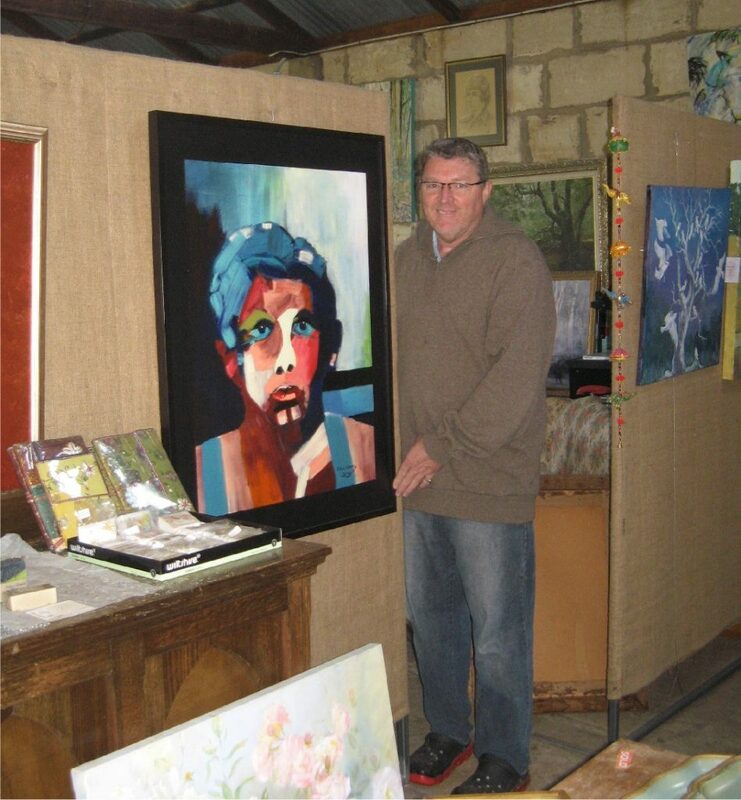 Red Door Gallery 6027 Portland – Casterton Rd. The Hatchery Studio 5940 Portland – Casterton Rd. Darryl’s Glass 5924 Portland – Casterton Rd.